John Bishop is best known for his stand-up comedy. John Bishop is an English comedian and actor, who is also known for his charity work, having raised £4.2 million for Sports Relief 2012. 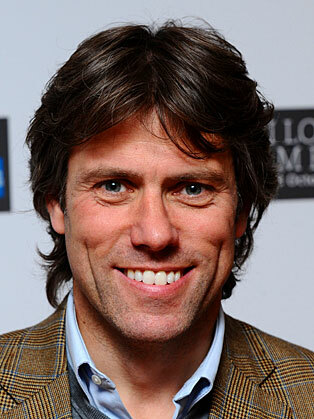 John Bishop hails from Liverpool, though he now lives in Manchester with his wife and three sons. His comedy roots are still firmly in Merseyside though, and he remains passionate about the Liverpool Football Club. His early life in Liverpool gives him a lot of material for his show, as he relives his experiences such as playing semi-professional football and working as a nightclub doorman. As a semi-pro footballer John played for Southport and Hyde United, and the highlight of his footballing career came when he subbed for the Liverpool Legends in the Hillsborough Memorial Game at the Anfield Stadium in 2009. Stand-up comedy wasn’t John’s first choice of career. He had a high-flying job with a pharmaceutical company which provided him with a good living as he jetted round the globe selling drugs to prevent organ rejection after transplants. His first public performance in 2000 was quickly followed by a whole series of nominations for comedy awards: he was a finalist in So You Think You’re Funny, the BBC New Comedy Awards, The City Life North–West Comedian of the Year and The Daily Telegraph Open Mic Awards. Following this great publicity his reputation soared: he became a broadcaster for Radio City 96.7, and has written a play – Happy Families – for Radio 4. When his marriage broke up he re-assessed his life and having had comedy success in a part-time capacity, John handed in his notice and became a full time touring comedian. Since then he hasn’t looked back. His first Edinburgh Fringe tour was with a show entitled Freefall for which he received mixed reviews. By 2009 though, John was receiving recognition with an Edinburgh Comedy Award Nomination for his show Elvis Has Left The Building, which was a total ticket sell out. The same year he appeared in his first film, Ken Loach’s Route Irish.